Good Morning Gjallarhorn Episode 037 – In The Raw: Where’s The Motivation? Good morning Horners! Ted, Drew and I gathered together after that disappointing result coming out of New England against the Patriots. The Minnesota Vikings once again failed to live up to expectations. After a week ago were head coach Mike Zimmer had meetings with his offensive coordinator John DeFilippo and his quarterback Kirk Cousins, and they stepped up and won against the Green Bay Packers, they reverted back to the inexplicable poor playcalling and play execution. All of us tried to discuss it in a coherent, and sometimes drunk manner. There seems to be a severe lack of motivation. It looks like players, and possibly some coaches were going through the motions. When your punter Matt Wile comes strolling out late to be the holder on a field goal attempt. One that Dan Bailey subsequently missed. 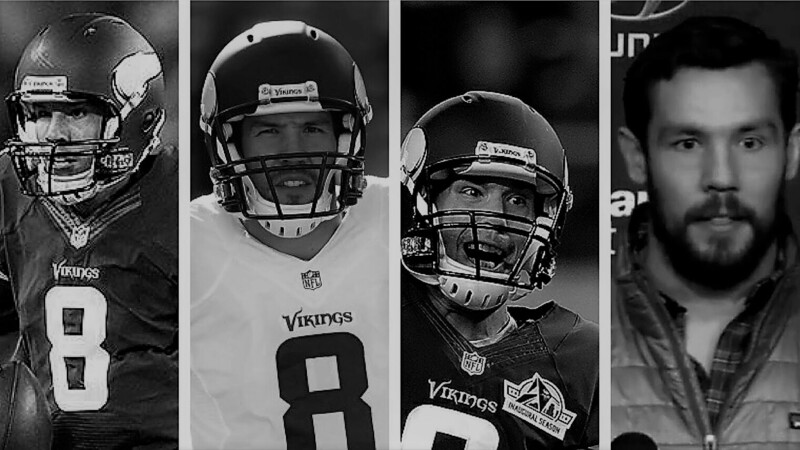 What is it with Vikings kickers over the last four years? Dan Bailey used to be the most or at least the second most accurate kicker in NFL history, and now the Vikings field goal and extra point attempts seem to be almost the look of the draw whether they are made or not. Could Coach Priefer be the reason? Dalvin Cook had a great game averaging about 9 yards per carry but was only given the ball 12 times. Why? He was being effective. This is one of those unexplainable decisions on part of, as Troy Aikman put it, the superhot prospect for head coach JDF made Sunday evening. Playcalling like that, along with bunching up wide receiver sets close to the offensive line, made absolutely no sense when everyone knows that the Vikings have had success when they get their playmakers into space. Bill Belichick will go down as one of the greatest coaches ever, without a doubt, and he has that killer instinct to not only win but to go for the kill and demoralize the opposition. With a combination of blunders from the Vikings and the lack of any sort of ability to sustain drives except maybe when they were desperate, he did just that. The impression for a lot of fans is the Vikings play to defend against the loss, i.e. to protect the victory, but in this game, they were never ahead. It looked like they were playing that way, however. Why? We are interested to hear what you think. Like, subscribe, and ring that damn bell! Then shout SKOL! The show's theme music is licensed through AudioJungle, the song is Stylish Powerful Energetic Rock.